It’s been three long years since a Tame Impala album has come out. Three long years of ingraining Innerspeaker, my favorite album on theirs, into my psyche until the songs became a comforting white noise to block out the chaos of morning commutes. But, now the wait is over. The Aussie rockers have trickled psychedelia back into our lives with four singles in anticipation for an upcoming album in July. Let’s start with my favorite out of the bunch: Let It Happen. I will never forget how I first listened to this song. It was a cold Friday night in the middle of March. I’m on airplane headed to Milan, Italy. Scrolling through my Spotify in search of the perfect take-off song. However, most of the songs I downloaded were slow and moody songs. Mellow songs wasn’t what I needed to start an adventure to Europe. But I did download the new Tame Impala single, which I haven’t heard up to this point. Engines rev up. The runway lights glaring through the rain. Press play. Sirens, drums, reverb-heavy vocals. I’m returning to the shoegaze soundscapes that I have missed so much. The very shoegaze soundscapes that were my summer of 2010 soundtrack: sun, music, and flings. The plane speeding through the rain, nature fighting back technology. Cue the synthesized piano. Thousand pounds of metal and plastic hurling up into the air. A brand new dance-y sound massaging my eardrums, filling me up with excitement for all of the good things to come. This is music at its best, when I’m riding towards the horizon a few hundred miles per hour, not a care in the world, with an adventure ahead of me. 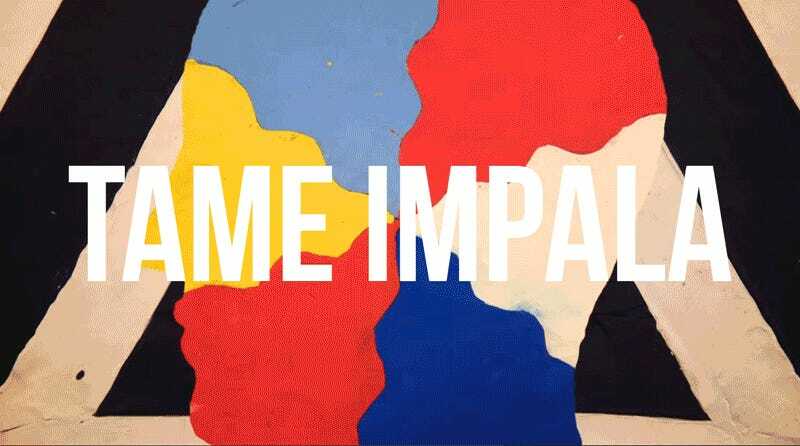 Let It Happen brings a vibrant energy into Tame Impala’s work. The nearly eight-minute song has three movements. In the first movement the sirens blaring and a doppler effect warping the music in-and-out. In the second movement the music repeats, revving up with an orchestral crescendo. Then, the third movement, the sirens slowly come back to announce the get-up-and-dance-in-pure-psychedelic-elation grand finale! I’m in love with this single and it has been my go-to pump-up song for the past few months. Eventually, we have to return to the roots that made Tame Impala memorable and their latest single, Eventually, is a beautiful return to form. Currents cannot come any sooner. These Aussies have been going for the long tease and my anticipation has reached critical mass. Luckily, my desires to hear the new album will be satiated this weekend with Tame Impala playing live at Governor’s Ball. Addendum: I wrote this post way before the music video of Let It Happen came out and it’s so eerily similar to my airplane experience. I’m just awestruck by coincidences like these.